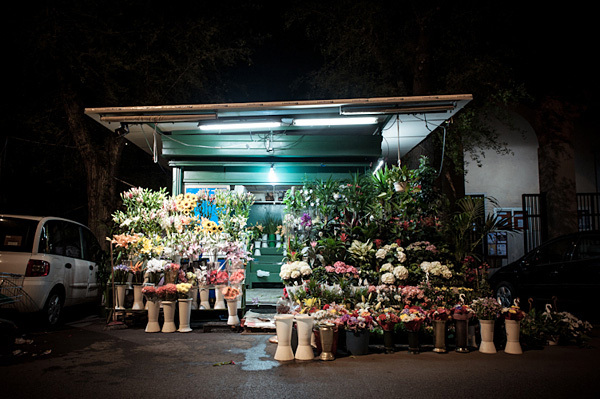 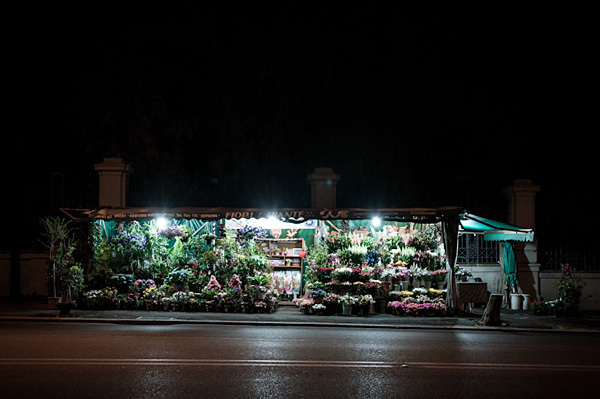 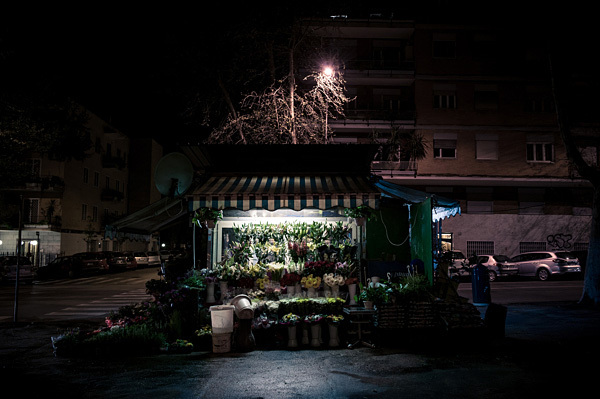 Photos of flower kiosks in Rome that are open 24 hours. 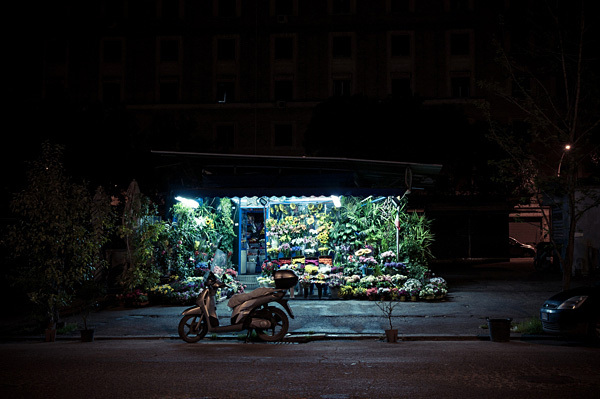 Almost anything is open 24h in Rome: a few bars, a few stores, self service gas stations and flower kiosks, a lot of flower kiosks. 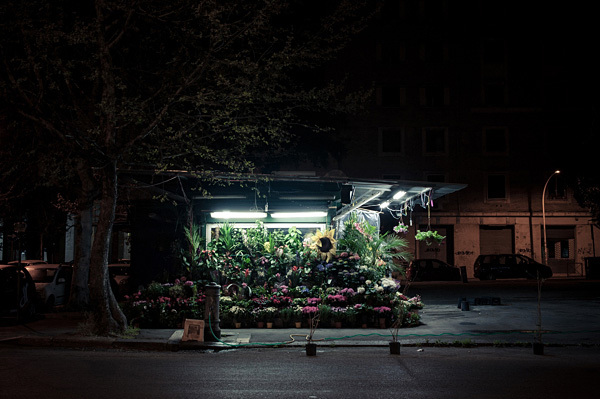 You can find them everywhere in the city and they never close. 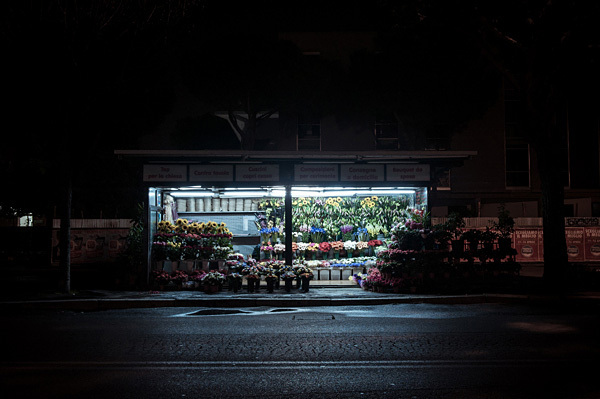 They never close. 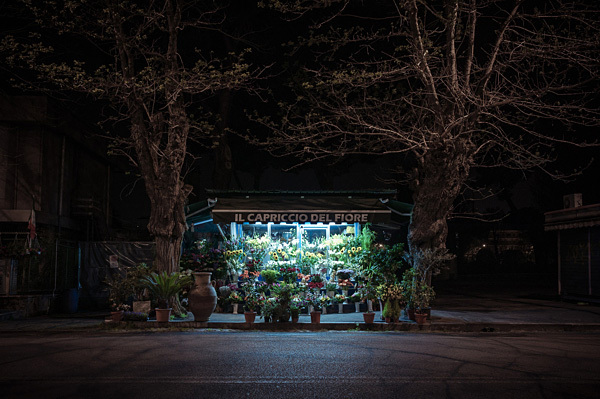 Their presence has always fascinated me, they seem like sentinels in the quiet roman night, small lighthouses populated by half-asleep immigrant workers. 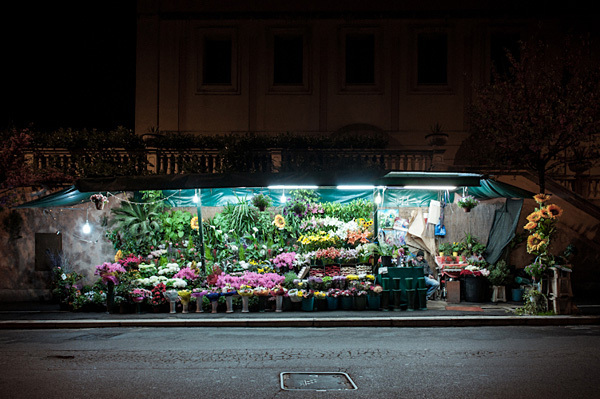 The photos were taken while wondering through the city in search of these islands of light and flowers.